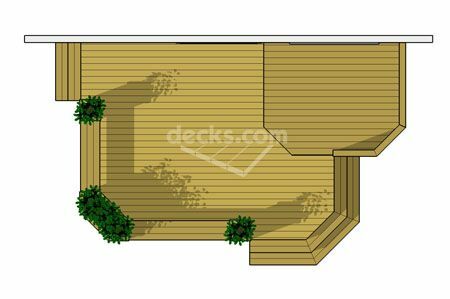 This 2 level deck uses overlapping deck forms, benches, planters, and a cascading stair to compose a unique and dynamic social deck environment in a relatively small space. 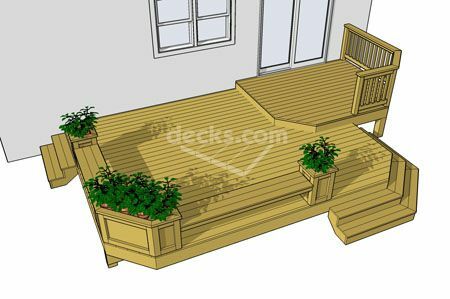 The 18' x 14' bottom deck features a built in bench and planter structure that wraps around an angled corner between two sets of steps an creates an attractive and functional barrier to the landscape below. The 10' x 8' top deck provides room enough for a small grilling area. 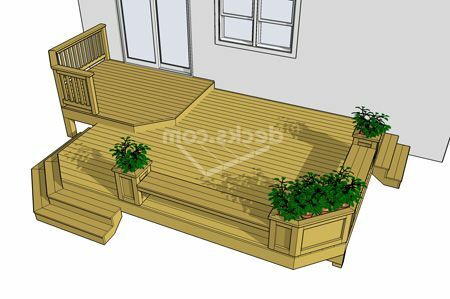 This plan comes with instructions on how to build the bench and planters.